While many people like to do a recap of all the quilts they made in the year, I will refrain. These posts are often entertaining, but in my case, I think an adequate number of pictures of all my own quilts have already been shown. And in cases where I have only showed snippets, you will have to wait until the quilt makes its debut at a show this spring. Among my list of notable accomplishments, getting through this holiday season with a minimal amount of angst. 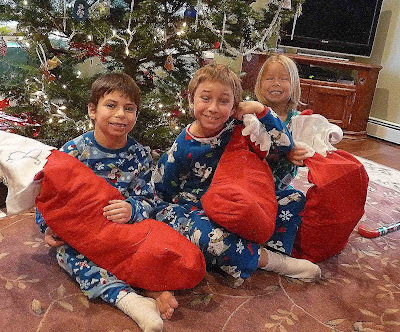 It's always more hype than gratification, but Christmas morning was pleasant. The kids had argued significantly over who would get which stocking - they have no names on them, and all 5 are different colors (red, green, amber, marroon and purple). Inevitably, two people always want the same ones. Rather than listen to ANY more bickering, Santa brought their goods stuffed into huge stockings instead. Nobody, for once, objected! For the past 2 days, my husband and I have had peace and quiet. Free time, and dine-out time. We even went to the mall, alone, yesterday. My mom has had the kids since Thursday morning. After dropping them off, we drove 3 hours to pick up this bundle of fluff. Kittens are SO hard to come by and I am sick and tired of shelters asking every single question as though we are applying for a home loan. We are paying them for the animal, for goodness sake. She was free to a good home. The only hitch was that she was not near to us. We were able to get the animal, and visit with a friend of my husband's for a couple hours, without listening to "are we there yet?" The kitten is very sweet, and so obviously adorable. And SO not a girl cat! Did they not notice those fuzzy little things between his legs??! Our other cat is adjusting, and the kids are about to be picked up (and are very eager to meet him). As for sewing...You'd think with 2 days free I'd have a ton to show for it. I wish!...I have gotten the large green border on this quilt, along with the pseudo prairie points. It's sort of a "what was I thinking?" moment because I do have to go blind stitch the entire edge around the points. I'll probably do it on machine with clear monofilament. I have one show quilt almost ready to come off the blocking board. One more day to ensure it is really 100% dry. The 2nd quilt is ready to go back on the longarm to have some SID redone, and then it is off to blocking (then my bedroom can be rearranged back to where the furniture really belongs!). The bed gets moved right next to the door so I have a place for the 8'x8' insulation boards. This morning, I made up the corded piping and binding for both quilts though, so putting it on ought to be a snap! Time to go get my kids, and get home before all the crazy New year's eve-goers are out. Have a fun one and see you in 2012! Now that Christmas is over, I can show a couple of the gifts that I managed to find time to make. Most years, I devote more effort to making more presents, but this year I think it all caught up to me, and I just felt like too often they are met with indifference. So to heck with it. This first one is a 55"x65" quilt for my niece, but it is rather "on the simple". I think (except for the binding), it took me all of an hour to put together and not too much more than that to quilt. The panel is really very pretty of the tigers, and it had an accompanying print that I used on the borders. My neice is the animal of the family so it is right up her alley. The panto is called Seaweed. This was the first time I used it (as well the first time for the bright lime green YLI thread). The panto is just right for a kid quilt - fast and easy, and it seemed appropriate for the grass. A close up... And you can see the cheetah minkie fabric I put on the back. It was ver soft, despite being horrendously messy to work with. I made my mother 12 Days of Christmas placemats. What a mistake!... Twelve placemats have as much binding as 2 king-sized bed quilts! I quickly learned how to do a machine binding that was acceptable. I located a panel (forgot who it is by, maybe Nancy Halvorson?) of the 12 Days of Christmas, and then cut each same-sized panel to use on individual placemats. I chose 3-4 different greens from my stash to frame the panel, and went from there. ...and Seven Swans a swimming. This one is my favorite. There is something about snowglobes. Whichever placemat was under my daughter's plate was promptly stained with beet from dinner. Hope that comes out! I am off tomorrow with my husband to get a new addition - we have located a kitten to adopt. The shelters are very hard to get kittens at because of everyone looking there. We visited one yesterday, and the paperwork asked who our vet was. Much to my surprise they called the vet as we waited, and learned that our current cat is 4 months behind on her shots! No kitten yesterday! I was so peaved since we'd driven an hour. The kids were pretty upset. It's not like my cat ever goes outside. I spent a couple hours in the afternoon searching before finding one on Craig's list. It's a 2-1/2 hour drive from us, which can only happen tomorrow. My husband and I call it our "getting away", as the kids will go to Nana's. Not sure what we will call the long drive home with a confused meowing kitten! The first of my quilts that was quilted this summer/fall is currently being blocked. I will bind it once I decide on the fabric (and once it is dry). It will be one of this April's MQX entries. These are oh-so colorful...maybe even too much color for me, but I have to finish it now. The HST's are made as of today - nearly 130 of them I think, in just about a zillion different batik pieces. The ivory half of the HSTs is also scrappy so if you see a variation of color, it is intentional to match the center of the quilt. I am currently working on the 3rd intertwining border section, with 5 more to go. Unfortunately I have no pale orange batik left for one of them, and no local store that caries that approximate shade. I may also make up some more little dots to sprinkle on the quilt strategically. I have one more work day (aka school day) before the holidays...and a giant roll of my eyes at the prospect of having my kids home for 11 days straight. Thankfully, my husband will be home much of that too to front their busyness so I can play. I have been fortunate enough to get this marvelous quilt from a new client. It is Judy Mathieson's Bristol Stars pattern. I love to piece intricately, but even the degree of detail on this pattern seems daunting to me. Truth be told, I don't like paper piecing quite enough to even dare this masterpiece. My client has done a really nice job on the piecing. I generally worry a lot when something with an abundance of curves is coming my way fr fear it will probably not lay flat or be remotely square. But this quilt is mostly flat and square. As you can soon tell, she wanted it custom quilted - my favorite...no boring edge-to-edge patterns for me! The flip side of course is that it requires about 30 hours to custom quilt this 93" quilt. She specifically requested feathers, so I feathered-a-plenty. I have used a Hobbs Heirloom wool over Hobbs 80/20 batting, and most threads are Glide or SoFine. With this much busyness and movement in the piecing, the quilting needs to be intricate, but not overly busy. It needs to unify the quilt, and accentuate the features of the piecing. The center of the quilt (below) turned out amazing. She asked for feathers, and definitely got them. The black around the flying geese is micro-stippled, and those curved geese pop out really well. The decision to micro-quilt between ever other radiating ray was made yesterday by the client (after I showed her pictures of one of my quilts before and after filling these spaces). It was a good bit offill work, but it makes the rays so vividly evident. To me, this is one of the defining features of the piecing, and it is better because of the quilting. One of the things I found challenging to deal with were the way that each circle star unit is finished. These are pieced, then fused down to the checkerboard background. Then, a black bias piping is stitched atop the raw edge. In all but one location, these pipings were appropriately attached, but the added thickness of the 3 extra layers of fabric made stitching near to the piping difficult. I wanted to ditch-stitch along the edge of the piping, but it was really hard since the hopping foot wanted to catch on the added thicknesses. This should merely be a lesson for the readers. If you do this technique, it will indeed look great. It is a clean finished edge. It does, however, make it way harder for the longarmer. Originally, we discussed a plan to quilt flying geese into the black borders, but because it was too hard to get right next to the pipings, another plan was conceived. The eight largest mariner's stars received simple detail quilting on top of the piecing. They have pebbled backgrounds, and are completely SID in monolon thread as well. Each of the eight stars is detail stitched in a coordinating color thread - yes, eight different colors. I did a small-ish feathered wreath in the center, and a squiggly sun look up the spokes of the star. The serpentine black borders that are around the stars are pieced from several different black solid and print fabrics. To unify them, I did a peacock-type filler (rather than the serpentine geese) in a charcoal gray Glide thread. Using black would have been too hard to see well, and the gray makes all the areas appear as the same fabric. Before I show you the gem of the quilt (aka, the back), let me share something that the owner shared with me. When she made this quilt a year ago, her husband had just been laid off from his job. She, an oncology nurse, needed a quilt project that would really challenge her and take her mind off of their troubles. But because of the money hardships, she had to make this from only fabrics that she had in her stash. If you look closely, you will see some wonderful gold-colored satin fabrics that are snuck into the piecing. 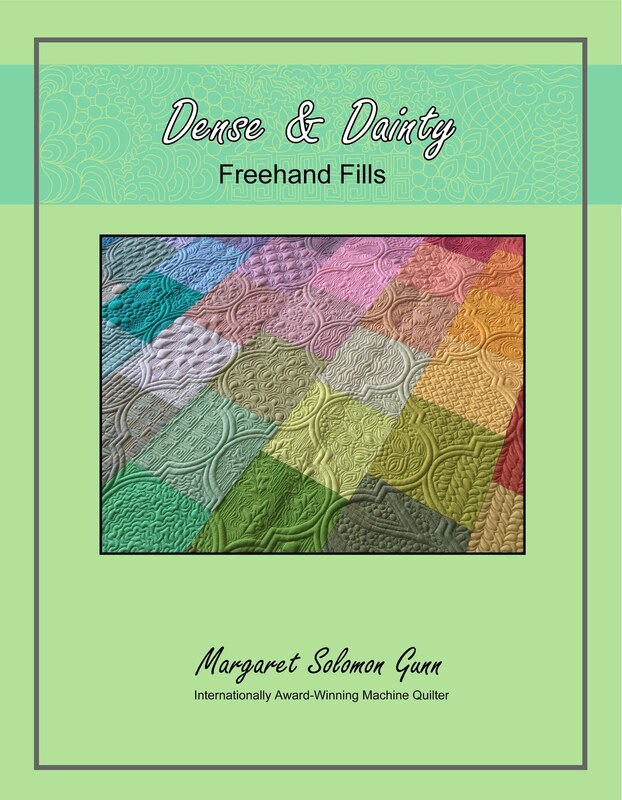 They are my favorites, and really help to give the quilt depth and personality. At some point in the winter last year, she was forced to sell or all things her sewing machine in order to make the house payment. This was a sad necessity, but forced her to not be able to continue working on the piecing. Imagine working all day with cancer patients only to come home to the challenges that were at home. Some months later, her husband did get a job, and he at some point after that surprised her by brining her home a new sewing machine. She was able to complete the quilt afterall. Life is better now for them, and I am blessed to bethe one chosen to custom quilt this gem for her. Now, want a look at the back??? It is a mottle fabric, which is more caramel colored than the pictures show. I think it may be a Cherryood hand-dye, but I am not certain of that. 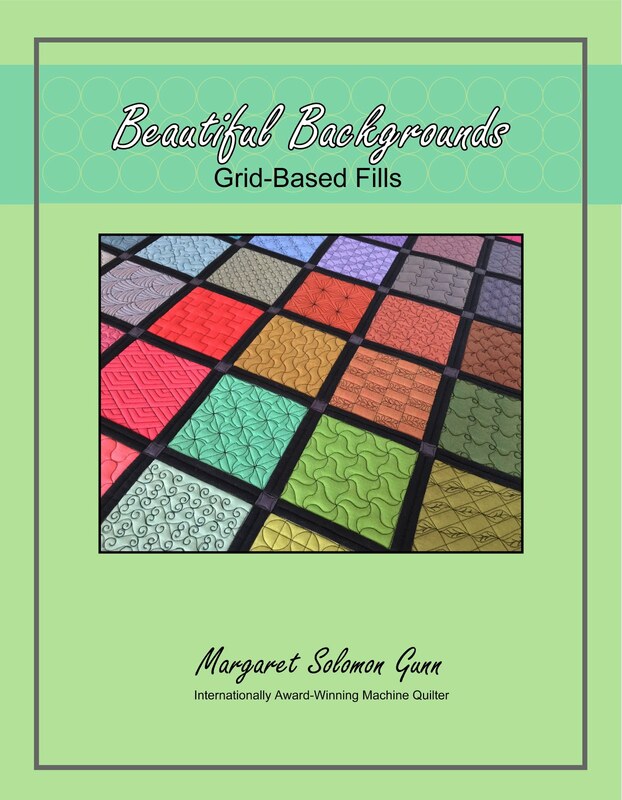 Because it is not printed, the quilting shows wonderfully on the back. There is a gold, black, charcoal, brown and 8 star colors for threads (if you look closely!). The radiating rays are very evident from the back. Time to go wrap some presents now! It's hard to keep enough cookies in the kitchen for Santa with 3 kids (and a husband) around. I made 2 kinds last week (peanut butter w/ Hershey kiss and chocolate shortbread) and my husband made these really good spiced coins, but the stock has gotten low so we had a few more to make up. I got lazy of these and just got the slice-n-cook sugar cookie dough. They really prefer the decorating to the mixing, and they are WAY less messy if you don't have to make them! Looks like it's time to replenish the Christmas colored sprinkles, as the cookes more look like Easter eggs. This arrived last week...It's got to be a pound and a half or so. 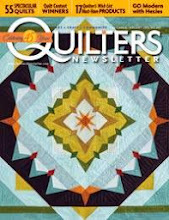 Its awesome to be on Handi Quilter's mailing list I tell ya! But personally, I am a dark chocolate gal (not to fear, the kids will most definitely help with this gigantic bar! ), so I am using this for some cookies. And in a generous moment (no I hate cooking nearly as much as I hate cleaning up after cooking), I told Miss S we'd look for one more fun holiday cookie to make - something we hadn't made before. Snowflakes!! and a few snow balls when only because the piping bag was getting slippery from overflow. Maybe not the tastiest, but the kids thought they looked good. I should add that I have also made a banana bread today, and mixed up the dough for gingerbread men, to be cut and decorated on the weekend. And we'll still probably have another type of cookie to do mid-week! It is a bohemoth 93" square, with I don't know how many hundred/thousand pieces. And the client (of course!) wants a custom. It's largely paper pieced, and is really well done. It lays flat, is mostly square, etc...all the things a longarmer would want to see. I just wish it was July and not 12 days before Christmas. I have SO many other things I need to be doing too. I have 2 more work days this week, so I hope to be nearly finished by the weekend. 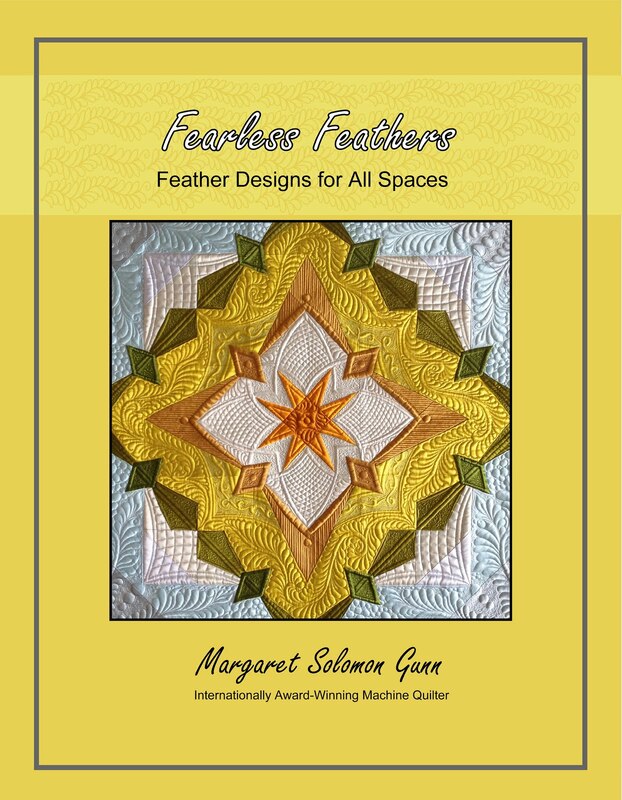 I am in need of a mental break from quilting. Thanks for the nice "destressing" comments after my last post. I have had a couple of good days. Made 2 batches of cookies with my daughter yesterday, and watched a holiday movie with all 3 last night (while the hubby was off at a tech mtg). It's comforting when all kids can get along nicely. Makes me not fear the alone time with them quite so much! Typically, this is a time of year that I can mostly just do without. It is all overly commercialized. Every possible store is busy, or beyond busy. I am not a religious person, so the very nature of the holidays often conjures up more questions than answers. And with 3 kids, the attitudes and emotions seem to be in overdrive too much of the time. 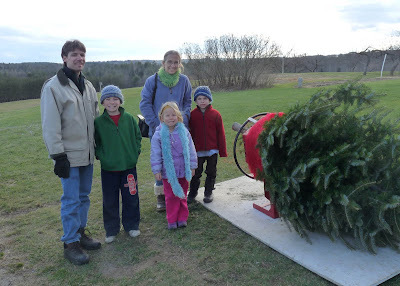 Despite all of this, we went out and did our usual tree cutting at a local farm yesterday. I like and for some odd reason "need" to go through the motions, even if they are kind of a pain in the rump. Why does one child always need to be ingracious? Did he need to trip his brother?? And another is rude to his absolutely fabulous kindergarten teacher (whom we saw at the farm)? The notion of "You better not pout, You better not cry..." has fallen on deaf ears. December is a month of mis-behaven kids and sass. And I need a week alone somewhere deep in the woods (with a quilting machine of course!). They all come back into normal form on the 25th, but it just becomes too much for me. We also went to see Santa this morning. On Friday while at the mall, they were oddly enthralled with Santa and the fact that we were missing seeing the reindeer parade at 4pm. Six eyes were scouring the roof of the mall in search of reindeer and a sleigh. 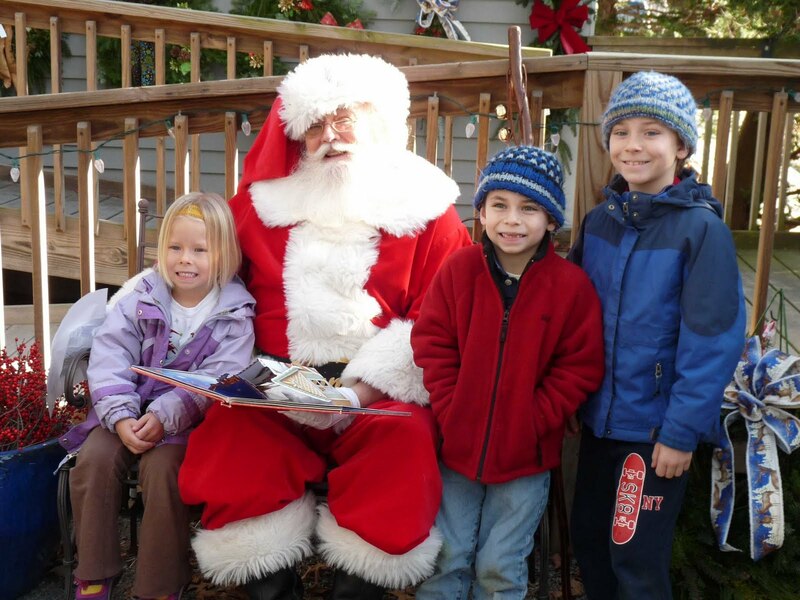 It is the first year that Sophie has wanted to be anywhere near Santa, and without tears. Middle man went with a complete list for the bearded man that surprisingly did not include his "two front teeth", even though the loss of them is making eating harder! I just loved (LOVED) that Santa did have a talk with the boys about needing to listen to their parents and be really good...as if we had coached Santa on what really needed to be said! I did not sew this afternoon as I would have liked. I took one shopping and then we had to put up the tree. For a few fleeting moments, the process was actually fun ...not an entire afternoon of "no, don't step on those lights" or "wait and let me do that ornament (with the sound effect of breaking glass next)". I have a hard time simplifying things tremendously this time of year. I should have been part bear because I'd be better off just hibernating from December 1 until March! I opted not to send out any holiday cards. I always like getting them, but this year it's just easier. We are not having a family picture since kid #1 decided to scalp the front of his bangs 3 days ago. He's on the hook to pay for his next haircut (assuming the weed-eater is not a sufficient tool). I love cookies, but I have managed to whittle my list down to 4-5 types. Maybe this week. The wrapping is started, the shopping is finished (if you don't count that my dad had me on his service this week too). Another customer quilt is off the frame today. It is back to regular programming here (ie., my quilt is off and time for business!). It's a small-ish 43"x55" quilt for her expectant baby boy, due in 2 months. She requested something above a panto, with different quilting in the 2 colors. The afternoon light is a little harsh, making the colors a bit washed out. I quilted it with an icy-aqua Glide thread. The contrast of the shimmery soft blue on the flat charcoal is nice. I chose a dental-style feather with swirls (to fill into the steep points). This type feathers are almost more leaf-like, and don't appear feminine like a traditional feather does. I have no idea what fabrics these are (maybe a Tula? ), but the more I quilted it, the more I kept finding small hidden surprises in the fabrics. Here's some little anchors, perfectly suited for a little boy. ...and if you look closely there is a swimming seal (I think in the aqua fabric). While quilting, I saw a turtle, but I couldn't find it afterwards! The back is a completely whimsical frog-ish print. It is fantastic fabric! This was a wonderful afternoon project. I always like ones that I can start in the morning and then finish when Sophie goes to school. Not like the king-sized custom that I will start tomorrow...and it has prework to be done (prepping the top and backing properly) before I can even load it. Sigh... It's a gorgeous quilt, I just have not had an adequate break from finishing my last full custom. I need a few days to play with piecing, clean the studio, finish Christmas things, etc - things to help cleanse my psyche. No such luck! A custom awaits, and there is another stinking 1/2 day for my kids this Friday. Too many days off for them just translates to not enough work days for me! We all make quilts. We understand all too well how much love, devotion and time go into the process. And undoubtedly, we are very much attached to the end creation when we are finished. If we put a price on the number of hours alone, they go into the thousands of dollars, easily, and that does not include any value for the emotional attachment. Yesterday, while still on that euphoric high of getting my next show quilt off of my frame, I was sent a link to a Missing Quilts website. When quilts go missing, they can be posted here. 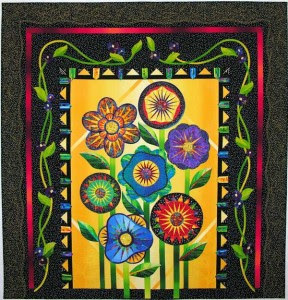 Some have been lost in the mailing process, some are taken from people's homes, and others never return from of all places - quilt shows. This website is horrifying, almost like perusing the obituary section of a newspaper of a small town in which you have lived all of your life. Though nothing of mine is in it, you cannot help but feel attached to the feelings of loss. 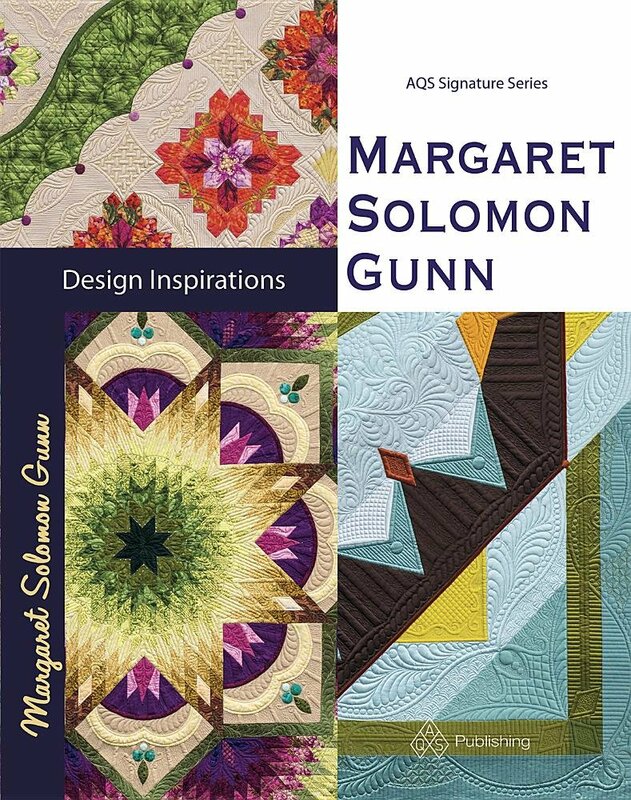 When I first went to the Missing Quilts website, I expected to find domestic-type quilts, like the ones we all have on our beds and around our homes. 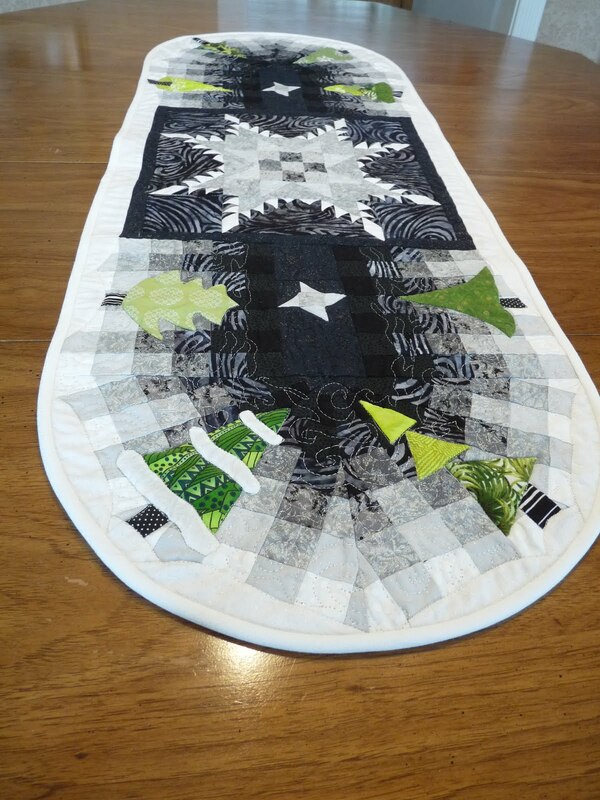 It was shocking to see this as the newest missing quilt. This quilt went missing from the IQF at Houston of all places. Like driving past a horrible car accident, I couldn't help myself. I had to scroll through more pages of this website. What other masterpieces have sadly been taken from their owners? Hoping not to find any more, I was again disappointed when this quilt showed up a few pages in. Kaaterskill went missing in the mail. 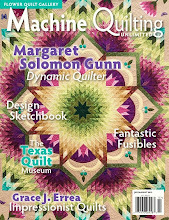 Some of you may remember it because it was on the cover of Quilter's Newsletter this past summer. It is all hand quilted. 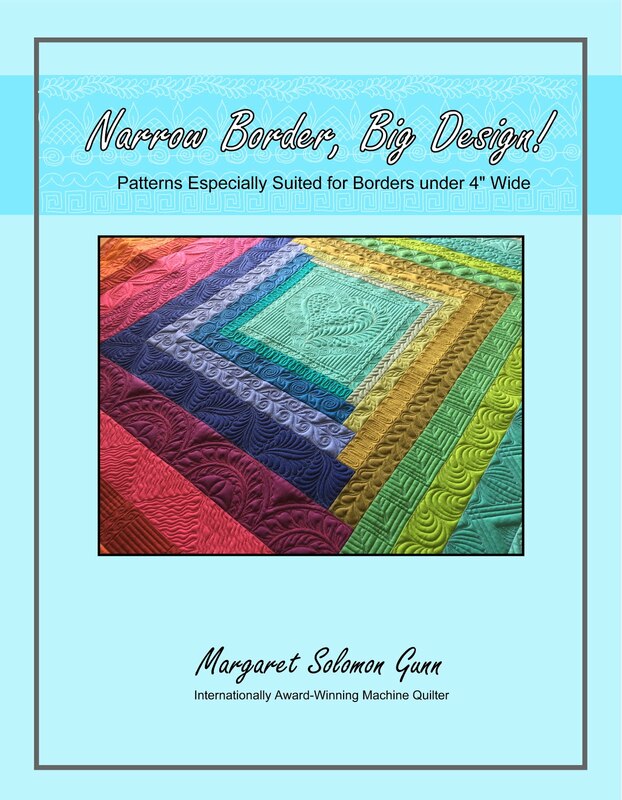 As a quilter that frequently sends quilts back to clients, I hate to read about quilts that go missing in the US mail or any other mailing service. It would devistate me to hear that a quilt I touched and quilted would never be returned home. Furthermore, I send off my own creations to quilt shows several times a year. I know better than anybody the number of hours involved in making each one. I don't think I will ever be so casual about sending my quilts off again. I am rather nervous now, in fact. Having an appraisal only guarantees you a cash settlement if one goes missing. It cannot replace the artwork. So when you go to a quilt show, keep your eyes on things and report any suspicious activity. Mail your quilts properly labeled in case the box gets opened enroute. Never declare the box as a "quilt". Call it "Bedding" instead. Nobody would consider taking a comforter. I may even go to the extent of using several different local post offices rather than always using the same one where people know what I do. Insure your packages, and always have a delivery confirmation number. You should also send it signature required. These things all increase the cost of sending the quilt, but make recovering it or some of its value better. I must admit, I have had one thing go missing from the mail. I made it for a holiday swap I hosted 2 years ago. It was mailed to Europe, and never made it to its destination. Because the mailing was international, there was no reasonably priced tracking available. This makes me wonder what international quilt makers do that send things to the US. Though this runner has a small value, it was more the time involved and thefact that I had to remake it. I designed this, bought the fabrics, hand appliqued the trees, and then watched daily as it did not arrive. So in conclusion, there is not much more to say. Be vigilint when mailing quilts. Be sure that you are sending quilts or taking quilts to shows that you are confident will have sufficient security. 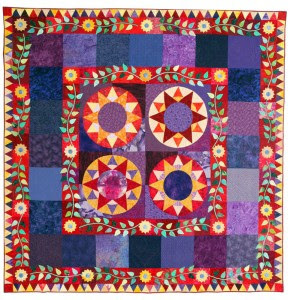 Get your show quilts appraised, and keep them insured. Perhaps tomorrow, when the shock of this wears off a bit, I will show some pictures of my quilt. Today, I am happier knowing it is safely hidden away in my basement. What can you do? Please, please post a link and post about the missing quilts. Perhaps somebody out there has seen or has knowledge of the whereabouts of these missing quilts. The website is www.lostquilt.com.